Is a translucent, colourless, gelling agent that is most commonly used in sugar confectionery, dairy, dessert, meat and fish products, pharmaceutical products, photography and cosmetic manufacturing. Its ability to form a thermo-reversible gel is the key of a vast range of confectionery applications that melts at around body temperature. Gelatine also has unique foaming, emulsifying and binding properties, making it virtually irreplaceable in many applications. In dairy specialties, such as yoghurts, cream desserts, mousses, spreads, margarines and low-fat butters it provides a range of functionality from improving and softening texture, facilitating aeration and preventing syneresis (separation of dairy product and whey). 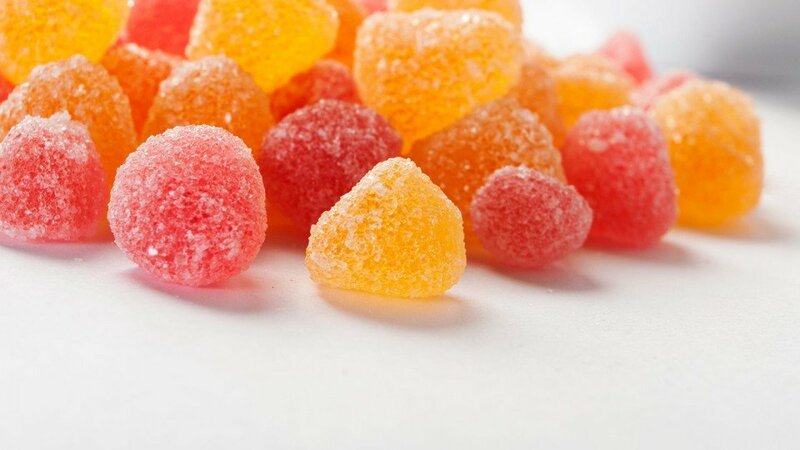 In confectionery applications gelatine has both stabilising and whipping properties and is commonly used in gummy bears, jubes and marshmallow. Confectionery Gelling agent in jelly confectionery, emulsifier in fruit chews, adhesive and binder for liquorice. Marshmallow Whipping agent in aerated confectionery. Dairy Prevents syneresis in yoghurt products, improves texture in cream desserts, spreads and ice cream products; stabilises and aerates in mousses and ice cream. Water jelly desserts Gelling agent, binding water and forming a soft, elastic, bright, transparent gel. Meat products Gelling agent binding water and juices, and stabilising. Gelatine is obtained from animal raw materials such as collagen, hides and bone, and is considered a natural complement of meat-based proteins. While Beef collagen is the most common source, Gelatine can also be extracted from Porcine and Fish raw materials, each origin having its own unique functional properties. Since Gelatine is often considered as a food in its own right, it is not subject to food additive legislation and as such has no E-number. Chemically, Gelatine is a mixture of peptides and proteins produced by the partial hydrolysis of collagen extracted from the appropriate animal source. The natural molecular bonds between individual collagen strands are broken down into a form that rearranges more easily. It is composed of more than 85% protein, less than 13% water and less than 2% minerals. Gelatine is a fully digestible protein and contains 18 different amino acids, including 8 out of the 9 essential amino acids, with the exception being tryptophan. It is particularly rich in glycine, proline and hydroxyproline, which together represent almost 50% of the composition of the molecule. Hydroxyproline is an amino acid specific to Gelatine. Gelatine melts to a liquid when heated and solidifies when cooled again. Together with water, it forms a semi-solid colloid gel. Gelatin forms a solution of high viscosity in water, which sets to a gel on cooling, and its chemical composition is, in many respects, closely similar to that of its parent collagen. Gelatine is water-soluble and compatible with most other hydrocolloids, including vegetable colloids such as agar-agar, alginates, carrageenans or pectins. It is compatible with sugars, corn syrups, polyols, edible acids and flavours. Gelatine will disperse easily in water and concentrations of 40 – 45% are attainable. Typically, Gelatine needs to swell before it solubilises and hydrates in hot water, and various methods are available. Once dissolved in water above its setting temperature, Gelatine will yield solutions typically ranging from 1.5 – 7.5 mPa.s. Gelatine gels exist over only a small temperature range, the upper limit being the melting point of the gel, which depends on gelatin grade and concentration and the lower limit, the freezing point at which ice crystallizes. The mechanical properties are very sensitive to temperature variations, previous thermal history of the gel, and time. The viscosity of the gelatin/water mixture increases with concentration and when kept cool (-4 °C). There are several important quality parameters to consider when selecting a source of Gelatine. Perhaps the best known measure of gel strength is the ‘Bloom’ measurement, with the Bloom values for Rousselot Gelatines ranging from 50 to 300 grams. Other important quality parameters are particle size distribution ( i.e. mesh size), viscosity, colour and flavour.